Thank you Jenni Clayville for pointing me towards this article on Sara’s life. I will link to it here as I continue to remember how powerfully Sara has impacted mine. CEDAR FALLS, Iowa — It had been more than three years since Sara Frankl was well enough to leave her condominium. It had been even longer since she was able to enjoy trips into the great outdoors. For years her only forays outside her home’s four walls were for visits to the doctor or pharmacist. But that never stopped her from living. To read my own tribute, go here. One of my online friends is dying. I have followed her blog for over a year and her constant choice of joy in the face of her otherwise insurmountable obstacles has been a great blessing to me. You see, to cut a long story short, she has had a set of diseases that have literally had her trapped in her own home for years. She was allergic to or had some reaction to almost EVERYTHING. But I don’t want you to think that her disease defined her – oh NO…. she CHOSE joy where I would have crumbled, where most other people would have crumbled. Her strength of character has been unparalleled. I have linked to her blog above …. I’m not able to articulate all I’m feeling at the moment. I have posted my tribute that I left on her blog here as well. 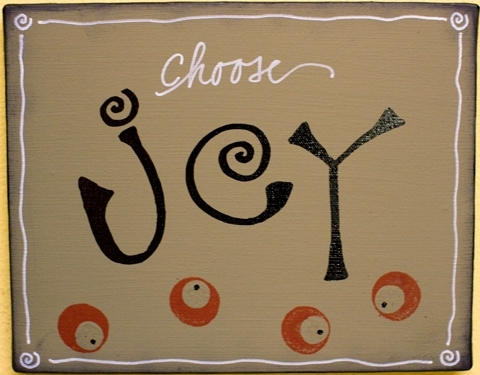 Please remember Sara Frankl – Gitzengirl or Gitz to her friends – and be inspired to CHOOSE JOY. I am shaken to my core. I am not a regular commenter here, but I have been a regular reader for a very long time – I have eagerly looked forward to your posts and your lifestyle of choosing joy….Who would think that the news that you are about to head home would be so devastating to me? I never thought it would be; I mean, I would read your words and go on with my day content, without so much as a thought of contacting you myself, the way that I have done with Mandy or Tam….But …. I am.Sweet Sara, I downloaded your songs that you posted on your blog and I have listened to them in rapt attention as your melodious voice caressed my ears and mind.I have followed Riley’s antics and smiled at every picture. I have been with you as people come in and out of your life through the pages of your blog and some through the front door. We have never met. But yet, we have. I am in Barbados. Your life has reached me. But I have to say two more words before you go home. Update: Here you can listen to one of my favourite songs sung by Sara. My Soul’s Desire. You can hear other songs from her on the website as well. I am continuing my reposting ‘series’ … and I had a thought: I’m trying to revive my blog, but also to bring to the surface great blog posts from my archives, right? So why don’t I repost the linky-post that welcomes all new users and has several links to different posts – and some whole series as well? So, here we go – for all you who happen to stumble in, as well as those who have subscribed or joined recently – Welcome to the Hand of God! Links abound – comment away!!!! Welcome to the Hand of God! This is a special welcome to every new member of the Hand of God, especially those personally invited by my new family at the Daily Audio Bible community. I have made a whole new set of friends on the chat rooms there, and want to shout out AmariNanny, Calico, Dennis, Servant-Ken, Newme, Jai, Southampton and all the others that I’ve started to connect with. The purpose of the Hand of God is to chronicle God’s hand in my life, and testify of the things God does when I pray for others. Here you will see slices of heaven on earth, where the miraculous meets the mundane. I also share parts of my life and try to be as open online as I am in person. Life Together – Relationship is Key! Ok! That’s a lot! I’ll post another links page for more forays into the innards of the blog. Please comment in the blog if you find something you like, or contact me athandofgod.blog (at) gmail (dot) com. Repost: How Great is Our God! How great is our God / Sing with me how great is our God/And all will see/How great/How great/Is our God! Had a deliverance session last night – it was awesome watching the Lord work and demons fleeing at the mention of the name of Jesus! It was a long session, but really rewarding – God moved sovereignly as I commanded the evil spirits out. It was even more awe inspiring to watch the Lord touch her as the evil spirits were removed and the presence of the Lord came in to fill the vacant spaces – I commanded out a spirit of heaviness and declared Isaiah 61:3, that the Lord gives the ‘oil of joy for the spirit of heaviness’, and she started to laugh; as I commanded out anxiety and spoke in the peace of God, based on Philippians 4:6-7, she visibly relaxed and you could physically see the change in her appearance as God’s peace entered her. As I commanded out doubt and unbelief, the Lord had me release supernatural faith in its place – you should have seen the power of God hit her! As I called out multiple personalities and commanded them to tell me their names, four identified themselves and were removed. As I broke ungodly soul ties and canceled curses of words spoken, tears flowed. Surprise was registered on her face as the Lord supernaturally revealed things that she didn’t even realize were there. After the 3 hour session, I laid hands on her and prophesied her destiny – released God’s call on her life and the power of God hit her; she could barely stand at one point. God is just awesome!! So I’m rejoicing! One more victory for the Kingdom of God! I’ve had a wonderful time assisting with a group deliverance on Saturday May 24th…. great to see how God moves. I was exhausted afterward, tho! Ok, so enough of me. I will post the devotion from Today God is First (TGIF) by Os Hillman for May 27th. I liked it – we all need power from the Holy Spirit to do what we are called to do! ‘I need power?’ I said to myself. Why, I thought I had power. I had a large Sabbath school and the largest congregation in Chicago. I was in a sense satisfied. But then came these two godly women who prayed for me, and their earnest talk about “the anointing for special service” set me thinking. I asked them to come and talk with me, and we got down on our knees. They poured out their hearts, that I might receive the anointing of the Holy Ghost. And there came a great hunger into my soul. I knew not what it was. I began to cry as I never did before. The hunger increased. I really felt that I did no want to live any longer if I could not have this power for service. I kept on crying all the time that God would fill me with His Spirit. Well, one day, in the city of New York – Oh, what a day! I cannot describe it; I seldom refer to it; it is almost too sacred an experience to me. Paul had an experience that he never spoke for fourteen years. I can only say, God revealed Himself to me, and I had such an experience of His love that I had to ask Him to say His hand. I met this blogger through traversing through a mutual friend’s blogroll. I fell in love with her quirky humour and lovely posts – and recently was touched by her songs (she’s an awesome songwriter and singer, as well as a worship leader) as she posted them up when she did a blog re-design. I was going through a very dark day and just found myself on her Albums page and just listened to her songs over and over. And over. And over. Until I started to see the darkness lift off my soul. She has chosen to reveal a hard part to her and her husband’s life. And I thought that I would forgo the post I was going to put up here to highlight her today. Infertility is not often talked about. But it should be. The pain. The depression. The wait. She is currently going through this , and it probably took a lot out of her to reveal this publicly to the world. Start to read up on her story so far entitled The Waiting: Part 1 – We Have A Story; Part 2 – The Real Reason I Quit Seminary; and Part 3: Clomid. And… Mandy – I love you. I love your courage, and your commitment to your husband and the rest of your family – and their commitment to you during this time. I will do my part by listening – and by sharing. And may someone else be helped because you were open. I thought that I would continue the highlights of blogs that I interact with, and friends that I have met through the blogosphere. Lost Sheep has been my friend now for a while, and we have been walking together through her recovery from spiritual abuse. I have been there to listen and just be a friend while she expresses her frustration and pain about being constantly told that God hated her, that she was a terrible Christian, that she would never amount to anything and the like. It has affected her emotionally, physically and, of course, spiritually as well. She was horrified to realize later that the ‘church’ she had joined as a brand new believer eager to know more about the Lord was actually an organization with strong cult tendencies. She has detailed how the abuse has affected her, given her story briefly, and set up groups for mutual support and comfort for those who have been victims of spiritual abuse, as well as pastors and leaders who want to know how to help. I have encouraged her that her story and her work is important, and it will help many. In a real sense it will also shine light into the dark corners of spirituality (this isn’t true church by any means) and as the light shines in the darkness, it will definitely derail Satan’s plans on many levels. So, I encourage all to go and read her blog – You Will Rise Again. Anyone who is interested to understand how cults affect people – here is one person who is no where near the end of her journey… she is constantly battling spiritual oppression as well as apparent betrayals from those who have promised to assist her. BUT – she keeps on going. She keeps pressing on – albeit with a lot of encouragement from some close friends. Her work is important. Get involved by prayer or by reading the blog and interacting with Lost Sheep.